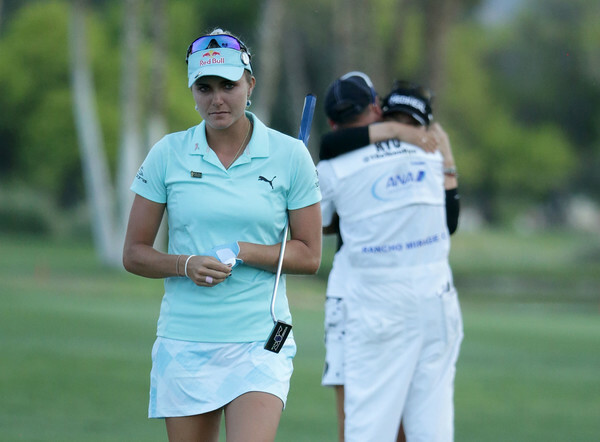 Let’s start by saying that we feel genuinely sorry for Lexi Thompson. She would have been a deserved winner and has every right to feel very aggrieved by the very unfair, yet justified decision based on the current rules. It is completely wrong what happened and the manner in which it took place, the rule makers should be ashamed of this. Her violation should have been spotted on Saturday afternoon and a two stroke penalty enforced. Would that mean she would have gone on to win? Would her playing partner Petterson have won? She had to endure a very vocal pro Lexi crowd. We will never know what could have happened, so it’s pointless mulling over it. Once again, another Major is going to be overshadowed by amateur officials – in this case quite literally, as a four stroke penalty for Lexi Thompson was handed out on the 12th hole of her final round, after an email from a member of the public sent to rules officials that Lexi had violated a rule. Yes, she did, but another Dustin Johnson type incident was not called for. In fact this was much more embarassing for the rules officials. Of course she had to be told, but to publicize that this incident was spotted by a viewer is beyond embarrassment. The whole golfing world has joined forces to support Lexi, and who knows this may just be the catalyst she needs to become the world’s best. Just look at DJ now. Yes, not the exact same situation, but a similar run of form for Lexi is certainly what she deserves. Now onto the winner So Yeon Ryu. Deserved winner? That’s an argument I’ll leave for others to fight over. Was she due a big win? Yes. Was she the most consistent golfer on Tour leading up to this week? Yes. When was the last time she finished outside the top ten? September. Ryu is not a surprise winner. Based on her form she totally deserves this victory. She did nothing wrong and everything right to win this week. In the playoff, the crowd was against her, most of the players were against her, most of the golfing world was against her. She knew this, she knew that a Lexi win was what almost everyone wanted, but she proved her class in the first playoff hole. Hopefully this tournament can be remembered with some positivity. Ryu deserves that. Lexi deserves sympathy. And as for the tournament organizers, they deserve nothing. Congratulations So Yeon, enjoy the celebrations. You deserve it! You are a star!